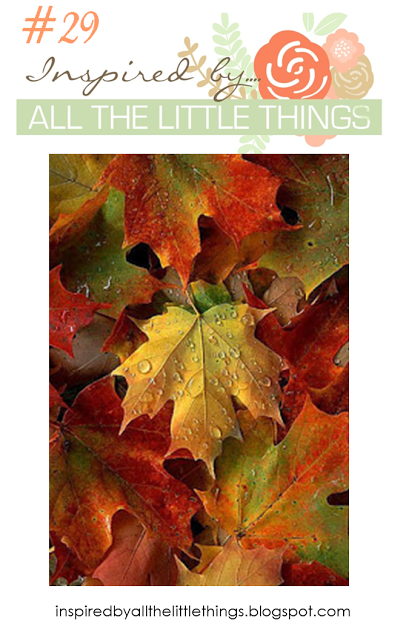 Have you seen the beautiful inspiration for this week's Inspired by All the Little Things? This photo is exactly what I'm walking through every day - it's my favourite time of year - crisp, cool and so beautiful! 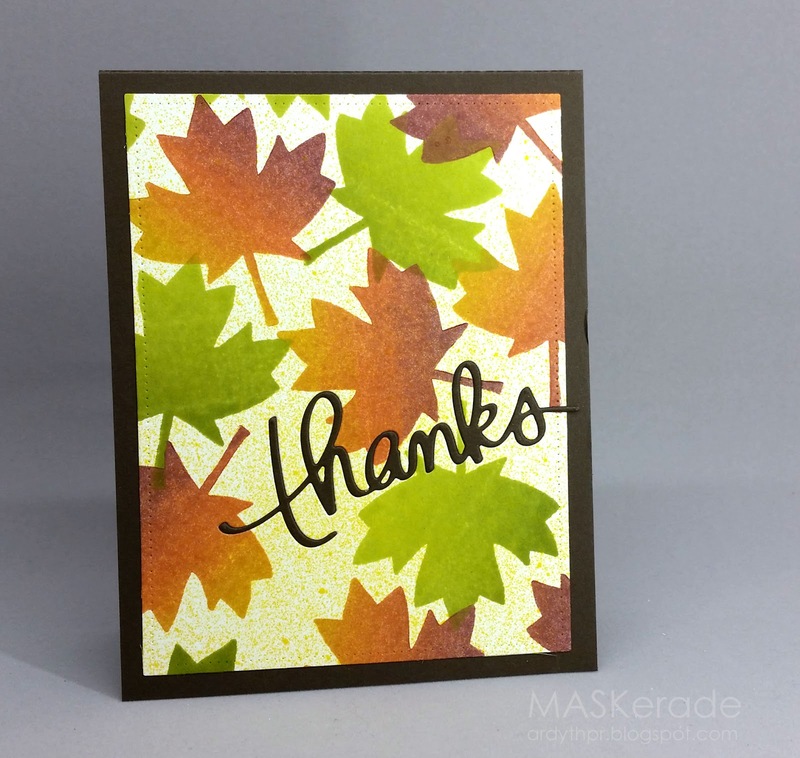 I stamped my leaves using two different Hero Arts Ombre Inks - Green and Autumn. To warm up my white panel, I gave it a spritz of Distress Spray in Mustard Seed, spraying from the bottom to the top so that it seems to be concentrated near the bottom. Love the added spritz and I am also walking through these colours every day and I love to kick the leaves! Wow, your leafy background is absolutely stunning! Love this card and love this autumn season as well! Thanks so much for joining us at Inspired By...All the Little Things! This is perfect! Great take on the inspiration photo! The leaves look so good in their ombré inking! I like the colourful leaves underfoot... shivering, not so much. Wonderful take on the inspiration photo Ardyth, this is lovely!! Beautiful! I went hiking in the north GA mountain this past weekend and this is exactly what I saw...beautiful colors, love your card. Ardyth what perfect ombre inking of your gorgeous leaves. Then topped off with an inlaid sentiments! Yes we are so lucky to be walking amongst such beauty right now. My favourite time of the year. Thank you for sharing with us at Inspired By All the Little Things. I didn't notice that you used Ombre inks until I read it. Now I like it even more! Very pretty. Thanks for joining us! So beautiful Ardyth...so in love with all your gorgeous leaves. These colors are gorgeous! The card reminds me of the cute little 'rain drops falling on the leaves' video that Darnell has on her blog right now! Your sponging/shading is out of this world!! !